So realistic, you'd swear it was going to jump at you! 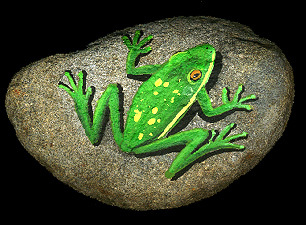 But this rock is palm size with the frog painted on in acrylic paint. Each painted rock is unique and pained when you order. This process may take a week. You will also see lizards, spiders and other creatures by the same artist.